The neon-colored explosion of bad taste known as the SEMA show in Las Vegas is just around the corner, and so are the legions of absurd and delightful tuner cars that will be showing off alternate-universe versions of actual cars. Like, you know, this 1,040 horsepower rear-drive Hyundai Santa Fe. To make this monster tuner Bisimoto force-fed the 3.8 liter Lambda V6 with a hysterically aggressive 39 pounds of boost through a proprietary twin-turbo kit running Turbonetics TNX 30/56 Turbos. A custom RWD drivetrain was made with a Hyundai Equus rear differential and the six-speed manual transmission from a Genesis R-Spec. And 2200cc injectors add a firehose of gasoline to keep up with the airflow. Hyundai’s official build sheet details that the engine has serious internal upgrades as well to give it a fighting chance. But I guess who cares, you’ve got ten years of warranty on this baby right? 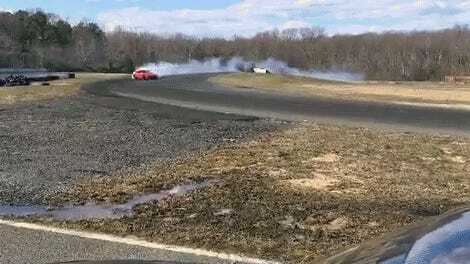 The car is rated to 290 horsepower stock. So now it either feels like Steve Rogers becoming Captain America, or me being forced to eat thirds at Thanksgiving. We haven’t heard if there’s dyno evidence to support the obscene horsepower claim yet, but these Bisimoto goofballs seem to know a thing or two about making family cars way too fast. Remember that 1,000 horsepower Honda Odyssey? 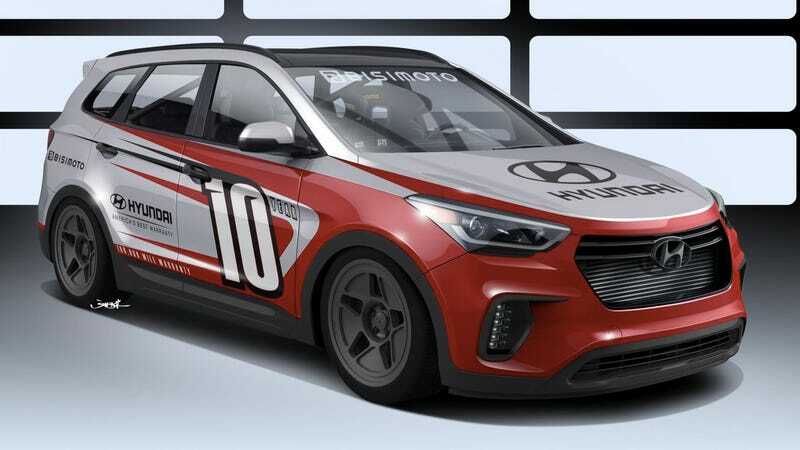 Anyway, hopefully Hyundai will cut this thing loose and give us a video of a driver making terrible decisions in it soon. But I have to say, as cool and hilarious as a four-figure power output on a Hyundai is, I think those Fifteen52 Tarmac R40 wheels might be my favorite thing on this rig.